Browse the best Chevy Trax Lease Deals in NH. 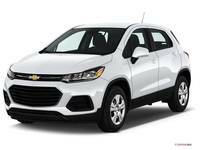 We offer $0 Down Chevy Trax Lease Specials in New Hampshire. Find the best lease offers, specials and deals at Banks Chevrolet. Located in Concord, just minutes away from Manchester, NH.